Increasing device complexity and technology convergence are driving test systems to become more flexible, while cost pressures are demanding longer system lifetimes. A software-defined, modular architecture is the only way to accomplish these objectives. Modular instruments deliver flexible, software-defined solutions for complex measurement challenges, from DC to microwave frequencies. Attend the Test & Measurement Fundamentals Webcast Series online in July 2014 to understand the fundamentals of instrumentation and how Modular instruments use high-speed buses and user-defined software to meet the needs of automated test equipment (ATE) today and in the future. Digital Multimeters (DMMs) are widely used instrumentation in several applications. These analog acquisition devices are specialized in taking flexible, accurate and precise measurements. Attend this webinar to understand the functioning of a DMM and learn tips and tricks to get the accurate measurement from your device. Special features of National Instruments DMMs include inductance and capacitance measurements, sampling rates up to 1.8MS/s, and extended calibration cycles with industry-leading accuracy. Attend this webinar to understand how a DMM can be used for advanced measurements and how it can be combined with NI Switch modules for high channel count applications. Oscilloscopes/Digitizers, used to observe continuously varying signal voltages over time, are one of the most common instruments in use today. This webinar will introduce you to the fundamental concepts and terminologies associated with Oscilloscopes and digitizers and also introduce you to the best practices associated with performing measurements with oscilloscopes. Bandwidth, Sampling Rates, Onboard memory and many other features determine the flexibility and performance of Oscilloscopes/Digitizers. This webinar introduces you to the top 10 things to consider during selection of the right oscilloscope for your application. Signal generators can generate simple sine and clock signals or complex I/Q modulated communications waveforms. Attend this webinar to understand the basic architecture of Signal generators and some of the advanced features that are present in National Instruments Signal Generators that can improve your prototyping and test systems with the world-class generation performance and higher system throughput. 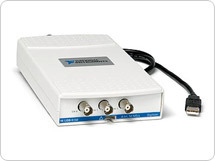 Several test and measurement applications require a high precision power supply. This webinar explores the various technologies and architectures of power supplies. The webinar will also introduce you to the PXI programmable power supplies and source measure units (SMUs) from National Instruments which feature high-resolution, high-speed, and high-power voltage and current outputs for automated test systems or lab environments. This webinar introduces you to the fundamental concepts and terminology associated with High Speed Digital Input/output instruments and also the best practices that ensure accurate and precise measurements. The session will also help you build flexible, powerful test systems to meet application challenges from custom communication analysis to end-of-line functional testing. Certain test and measurement applications require features like parametric measurements, stimulus response analysis and pattern sequencing. Attend this webinar to understand how you can extend the capabilities of your instrumentation to perform these advanced tests and measurements. The next generation of Instrumentation is here! The rise of high-level system design tools, such as NI LabVIEW software, changes the rules of FPGA programming, delivering new technologies that convert graphical block diagrams into digital hardware circuitry. NI FlexRIO instruments consist of field-programmable gate array (FPGA) modules that you can program with the NI LabVIEW FPGA Module and adapter modules that provide high-performance analog and digital I/O. Attend this webinar to learn more. 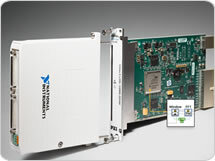 Adapter modules from NI, National Instruments Alliance Partners, and third parties interface with NI FlexRIO FPGA modules through a card-edge connector that route the necessary FPGA signals to the adapter module. Attend this webinar to understand the architecture and functionality of these adapter modules. This webinar introduces you to the most important specifications for Dynamic Signal Acquisition (DSA) devices. DSA devices are designed to accurately measure the frequency content of signals with a very high dynamic range such as sound and vibrations. Attend this webinar to understand the fundamental concepts, architecture and things to consider when choosing DSA devices for your application. Acquisition of acoustic and vibration signals is critical in a variety of industries. Attend this webinar to learn how you can you use National Instruments DSA hardware, LabVIEW and Sound and Measurement Suite to perform advanced analysis such as order analysis, human vibration analysis, torsional vibrations analysis , harmonics analysis and several others on the acquired signals. Many test and measurement applications involve hundreds of signals that need to be measured and managed. Attend this webinar to learn the basic of signal routing and switching and how you can use the Programmable switches, relays and resistors from National Instruments to manage signals and increase the performance and throughput of your system. Attend this webinar to understand the advanced features and architecture of NI Switches that help you in managing large channel count signals. The webinar will also explore the various architectures for Fault Insertion that you can use in your test systems. This webinar introduces you to the fundamental concepts of analog video measurements and the most important parameters that characterize an analog video. The webinar will also explore the National Instruments Analog Video Analyzer that scales from composite video (CVBS) and S-video to a comprehensive offering for component video analysis including HDTV and VGA (analog RGB). With hundreds of HDMI and DVI devices being manufactured every day, there is more and more focus on high throughput and accuracy while testing these devices. This webinar explores the fundamental concepts of digital audio/video measurements. We shall also explore the hardware and software platforms available from National Instruments for digital audio/video measurement and analysis.